Wayne is a pioneer in the digital age, utilising the internet’s global reach to link people with products through electronic exchange platforms. Before the creation of eBay, Alibaba, Airbnb or Freelancer.com Wayne designed and built a global business based on the premise that the internet can unlock unrealised economic value and create new markets. He founded the listed company Bartercard Ltd (ASX:PBS) now the world’s largest non-cash marketplace where members exchange goods and services on credit not cash via a unique alternative ‘currency’. Bartercard has operated for over 23 years and in 20 countries and has completed over US$40 billion in transactions. Bartercard’s fully electronic online auction platform predated eBay by 3 years, and its online wholesale/retail shopping mall predated Alibaba by 4 years. 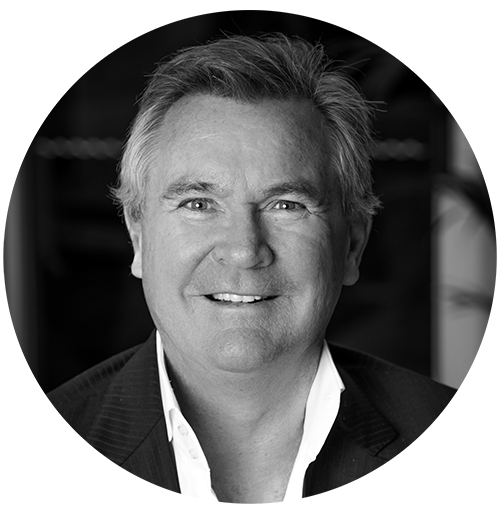 After selling Bartercard’s flagship operation in Australia in 2007 ($25.5 million), Wayne attended the UN climate change conference in Bali, and shifted his technological and entrepreneurial skills to the global challenge of climate change. For the past 15 years Wayne has devoted himself to bridging the nexus between financial markets and the environment, creating marketplaces and platforms that make it simple, secure and transparent for finance to achieve environmental outcomes. Wayne created Global Environmental Markets after successfully launching the world’s largest voluntary exchange platform Carbon Trade Exchange (CTX). Wayne is now focused on expanding the reach and use of the GEM trading platforms to assist environmental and emerging markets and new products. GEM provides these various exchange platforms under license to exchanges and market operators internationally. Extensive background as Executive & Non-executive Director in multiple sectors: banking and financial services; biotech, life sciences; manufacturing; agribusiness; mining and mineral processing; infrastructure and utility services; retail and wholesale services including Chairman Management Consultancy International Pty Ltd (2014+), Chairman of Audit & Risk Committee (2015+) Director Online Education Services Pty Ltd and Representative in Australia for the Bank of Cyprus Public Company Limited (2012-2015). Also Adjunct Professor of Business Law. Lee has 22 years’ experience in managing exchanges and exchange technology development. Previous Director and Executive Manager for Bartercard International for 18 years. Lee currently manages all GEM’s technology as well as the operations at Carbon Trade Exchange (CTX), the world’s first voluntary exchange platform. An extremely efficient person capable of implementing and driving a wide range of business-critical initiatives and programmes. Lee oversees the delivery of all new development projects and enhancements to existing IP and ensures projects are scoped, built and delivered on time. Justin has over 20 years of experience working in federal, state, and municipal government in both the United States and Australia. He was previously the Secretary of Administration for the State of Vermont. In addition, he has worked for Democratic and Republican Governors in Vermont as Commissioner of Environmental Conservation and Deputy Secretary of Natural Resources. Justin served on the board of the Regional Greenhouse Gas Initiative for seven years and is a valuable and trusted source of information and advice for national and international clients seeking to navigate the regulations and policies related to carbon pricing. Having spent three years as Chief of Staff to a member of the Australian Federal Parliament and as a senior executive at the Mornington Peninsula Shire, a large municipal government in the state of Victoria, Australia, Justin brings a valuable and knowledgeable understanding of international dynamics. In 2015 Justin was the winner of the prestigious USEPA Ira Leighton “In Service to States” Award, just the second person to receive this award. He holds a BA (Journalism) from Royal Melbourne Institute of Technology (RMIT), Melbourne, Victoria, Australia. Josh has diverse experience in the environmental sector, including consulting for BIX Capital, a pioneering social impact fund, and project management for Cultivating Community. Tenacious and detail-oriented, Josh has a proven track-record for problem solving, developing a sales pipeline and building strong professional relationships. An award-winning graduate of the renowned M.Sc Environmental Technology at Imperial College London who also has a BA in Management from the University of Leeds. 8+ years experience in sales, business development, financial markets and technology. James worked as a dealer’s assistant at a boutique stockbroking firm, before running the sales and business development team at Australia’s largest private investment platform for just under 5 years. In 2017, James moved to the UK to establish and grow the regional office for an Australian/New Zealand based SaaS company and then worked directly for the Founder and CEO of an AI-driven child safeguarding application. Juliet has 18 years’ experience in administration, design and marketing. She has lived in South Africa, the USA, the UK and now is currently working from the Australian office. Juliet is extremely versatile and proactive in all tasks she undertakes. Her expertise is in User Acceptance Testing and the production and refinement of supportive materials including guides and manuals. Being resourceful and thorough, Juliet is passionate about establishing, reviewing and improving the systems and procedures for the effective management of the business.